The most important aspect of getting a decent shot is light.....doesn't matter how you frame your masterpiece, if there isn't enough light it just won't work. Although a good camera allows you to adjust settings like Shutter Speed, Aperture and ISO the key that holds everything together is light. With that in mind I bought a Canon 580EX II Speedlight (this is just a fancy way of saying "flash"). I use this flash A LOT...it is awesome when shooting portraits (even in sunlight a flash is helpful in filling in shadows) as I can bounce it off the ceiling or various other stuff (I'll get to some of that in a bit). The 580EX II is especially nice because I can control TONS of things on it.....I just need more practice so it becomes second nature. I have just started using a flash in the infield at the race track...I was always concerned that it must be distracting to drivers but after polling a number of them my concerns seemed to be unnecessary and my photos will improve because of it. hoping I don't have to replace it as it is pretty costly! Before buying the 580EX II, I purchased a Canon 430EX II but found that it works much better as a "helper" rather than using it as the main light. I haven't used it in a while.....but it is always on the shelf in case I need it. I recently invested in a studio lighting kit that I found on Craigslist. Although it will eventually come in really handy, I have not had a chance to play with it yet. Since I don't have a studio of any sort I am struggling to figure out where I could set it up and use it. Eventually, it will fall into place. One great purchase that I made was a background stand and a few fabric backgrounds. 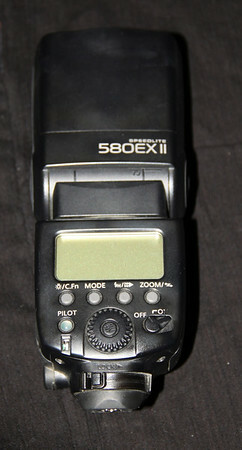 I can set this up in a pretty small area and instantly transform a messy room into a studio (through the lens anyway). I definitely need to buy more backgrounds so that I can offer folks better options when shooting portraits. Big thanks to my friend Lynne who was able to alter them so that they can be hung either tall or wide....having the option is a great help! As important as light is in photography, the ability to control that light is a must. I love the Gary Fong Lightsphere Universal Diffuser that I purchased. It's a little hard to explain. As you can see in the photo, it is plastic with a dome shaped top.....when the flash fires, light is refracted around the dome and more evenly spread out toward the subject. It really does make a HUGE difference when shooting portraits. My Gary Fong Diffuser....ESSENTIAL for portraits!! The way I understand it, cameras only really care about one color: white. Whatever "white" is to the camera determines how every other color shows up in your results. Even on a point & shoot camera, you can tell the camera whether it's sunny or cloudy. This is called White Balance.....and most cameras will do an okay job if you set it to Auto White Balance. But if you really want to capture true colors, you have to use Custom White Balance. The best tool that I've found to do that is the ExpoDisc. Incredibly easy to use (not always the easiest step to remember to take on a long shoot) and I have gotten really good results. If you use lenses with different size fronts - don't worry.....just buy an ExpoDisc that is at least as big as the largest one and just hold it in front of smaller ones when you need to calibrate those. Can't get any easier than that. 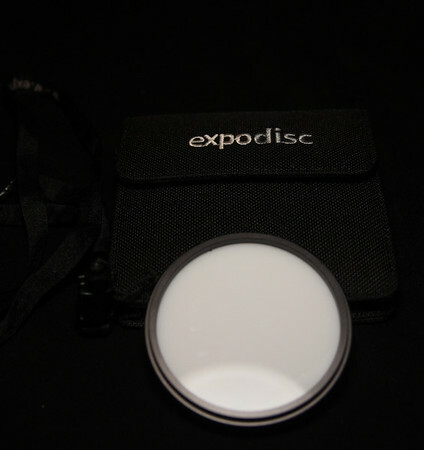 The Expodisc is great for setting custom White Balance! I have always wanted to try to do a cool time-lapse series. 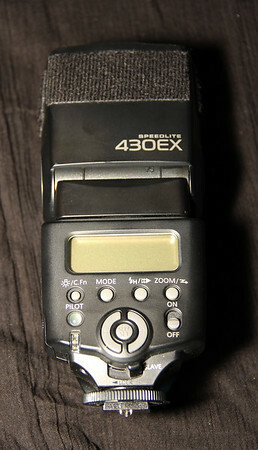 With that in mind, I bought an inexpensive Intervoltometer (this is just a fancy way of saying that it connects to the camera and makes the shutter fire on a set interval and for a set period of time....say once every 30 seconds for 3 hours). Using these settings, I could put the camera and Intervoltometer on a tripod and walk away. When I come back in 3 hours, the camera would have taken 360 photos. If it was pointed out the door at a blizzard....well that might be pretty cool. My Intervoltometer.....pretty cool little device! 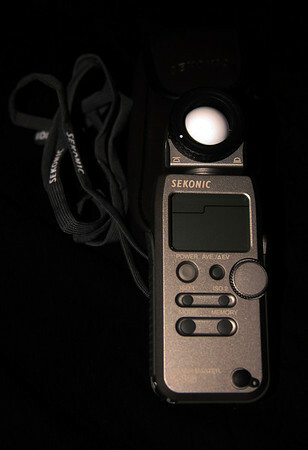 Another tool that I have not really taken the time to master is the Sekonic Flash Master L-358 Light Meter that my brother bought me for my birthday a few years ago. Eventually I will - and I will be a better photographer because of it. I found this great website with really clear information about how to use this thing....I am putting the link here as much for myself as for anyone else! I REALLY need to learn how to use this! Click the photo to check out the features on the L-358! For a lot of the shots that I have gotten at waterfalls, a tripod is an absolute must. For the "buttery" feel of a waterfall, you have to use a slow shutter speed (in this case, slow could mean up to 5 seconds....try holding a camera still for that long!) Put the camera on a tripod and you have all day (assuming that there's no traffic chasing you off the bridge, that is). 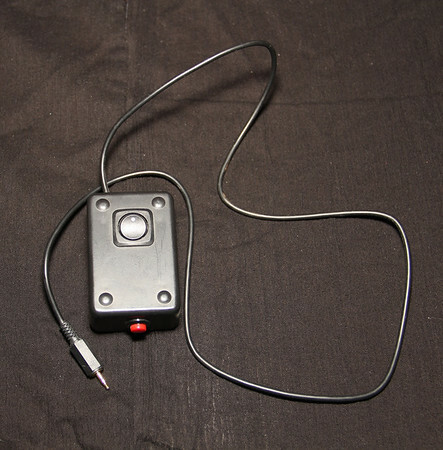 Another really helpful tool for long-exposure shots is a remote shutter switch. This comes in handy for some portraits as well if the subject is kind of nervous and uncomfortable because of the camera....put it on a tripod and plug in a remote shutter. Then start talking....talk about the weather, talk about sports....talk about anything except photos. Before long your subject will likely loosen up and let you get the shots you need. Keep talking as you click away. I have never ended a portrait session without making a new friend...or learning something new about an old one. One (well, two actually) of the coolest things that I have bought recently were custom camera straps from Jodiescamerastraps.com I bought two of various lengths so that I have the options to wear them both at the same time while shooting sports. Sometimes you have to go from wide-angle to zoom pretty quickly and just don't have time to change lenses. So....just grab a different camera all together! 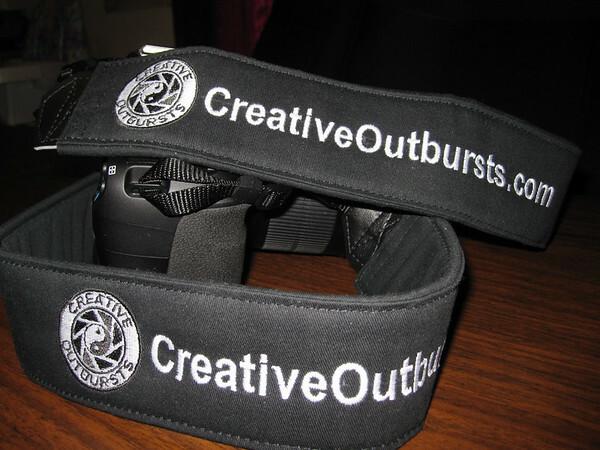 These new straps are incredibly comfortable and they are great for showing off the CreativeOutbursts.com logo and website address. I get recognized as "the guy who puts photos on Facebook" all the time because I affix the same logo on my uploads as people see on my camera straps. on each other. I love them! I have also bought some things that I probably should have saved my money on.....but that happens sometimes, I guess. 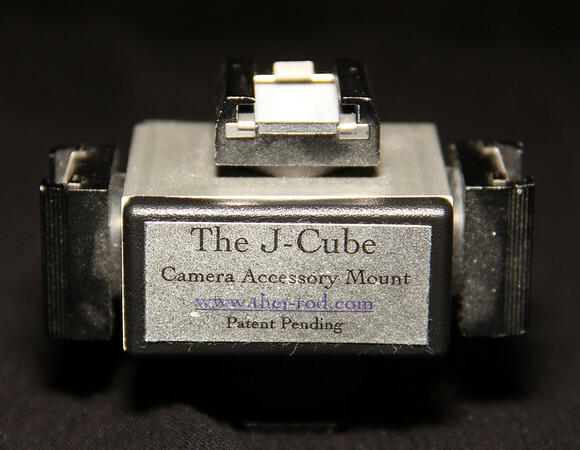 I bought "The J-Cube" with the thought that I could possibly use a flash and external microphone on my 60D at the same time. Unfortunately, it appears that the charge to the flash won't carry though this device so it is basically only good for giving you 3 options for which position and direction to put a microphone. Oops. Speaking of microphones, the 60D is capable of shooting GREAT HD Video...and with that in mind I bought a Rode Directional Video Condensor Microphone. I WILL use this at some point. I am excited to find time to play with some of the "toys" that I have put together....and this one is at the top of the list! Want to learn what a setting does? Stand in one spot with your camera and a notepad.....take the same photo using every combination of settings you can and write down what you see in your results. There is no greater way to understand the relationship between ISO, Shutter Speed and Aperture than that. I highly recommend everyone that wants to learn about photography try it....at least twice. Once in great conditions with good lighting and a solitary subject. Then try it when it's cloudy and your child is running around the backyard. You'll learn something....I can almost guarantee it!